The £10 million initiative between the UK and Singapore governments is to build and fly a satellite quantum key distribution (QKD) test bed. Through this collaboration, Singapore and the UK will co-develop “QKD Qubesat,” a satellite based on the cubesat standard that will use a pioneering QKD technology to test the secure distribution of cryptographic keys over globe-spanning distances. Satellite-based QKD is emerging as an unbreakable communication technology, far more secure than existing encryption techniques. This new joint quantum technology satellite mission opens access to a global market thought to be worth up to US$15 billion (£11.5 billion) over the next ten years. The collaboration aims to build on both countries’ efforts to grow the space and quantum technologies sectors by staking a claim in the emerging QKD market. The satellite will be operational in late 2021. In the UK, work will be led by the STFC’s RAL Space facility, which will contribute its expertise in innovative space technology and optical links needed for beaming QKD signals. In Singapore, work will be led by the Centre for Quantum Technologies (CQT) at the National University of Singapore (NUS) which will contribute its expertise in the building of rugged and compact QKD instruments. The UK investment in this program is part of the Industrial Strategy commitment to develop new manufacturing and export opportunities for the UK space sector and vital infrastructure for UK telecommunications as well as safety and resilience for the country. Quantum Technology Program, which has established close links with industry in the UK and overseas and is exploring a diversity of technical approaches for commercial benefits to be gleaned. Collaboration with Singapore in this field takes place against the backdrop of strong and deep links between the two countries in a wide range of science and innovation fields, recognised through the signing of a bilateral Innovation and Research Partnership in 2014. Quantum Key Distribution provides an alternative that can be seamlessly integrated onto the network systems we already use. It is resistant to all known computational attacks, including from future quantum computers. A space-based QKD system will ensure security over national and international distances, at a lower cost to alternative, ground based fiber infrastructure. Satellite-based QKD is a fundamental enabler of next generation communication networks. 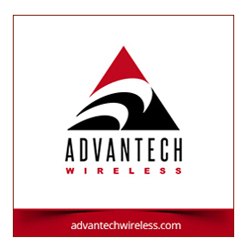 By ensuring the secure distribution of cryptographic keys over globe-spanning distances, this technology delivers ultra-secure, long-range communications capability at a level that cannot be achieved with ground-based fiber infrastructure. QKD can also be seamlessly integrated with existing encryption systems. It is resistant to all known computational attacks, including from quantum computers. The market for QKD-enabled systems is rapidly evolving. The Singapore and UK teams will work with academic and industry partners to help support future development of commercial products and services. In Singapore, S-Fifteen Pte. Ltd., a company spun out from CQT, aims to provide QKD hardware and other quantum-safe solutions. CQT already collaborates with telecommunications companies such as Singtel to bring QKD communication technology to market. RAL Space will be working closely with the UK telecommunications and service sector, including BT and Arqit Ltd., to prepare for the inclusion of quantum communication into mobile and static applications. RAL Space is collaborating with the UK’s National Quantum Technology Program to develop space applications of quantum technologies. The Centre for Quantum Technologies (CQT) is a national Research Centre of Excellence in Singapore and brings together physicists, computer scientists and engineers to do basic research on quantum physics and to build devices based on quantum phenomena. Experts in this new discipline of quantum technologies are applying their discoveries in computing, communications and sensing. The Centre was established in December of 2007 with support from Singapore’s NRF and Ministry of Education. CQT is hosted by NUS and has staff at Nanyang Technological University and Singapore University of Technology and Design. 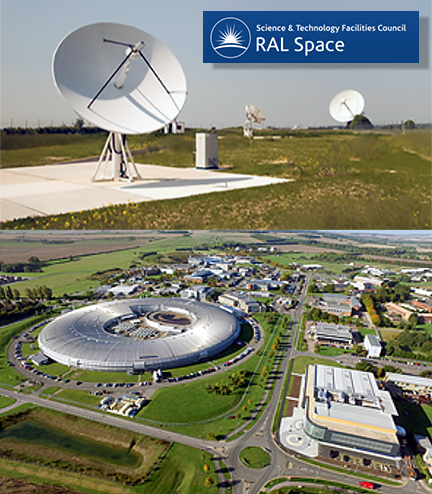 STFC RAL Space is an integral part of the Science and Technology Facilities Council's (STFC) Rutherford Appleton Laboratory (RAL). RAL Space carries out an exciting range of world-class space research and technology development. It has had significant involvement in over 210 space missions and is at the forefront of UK space research. RAL Space has established a Quantum Space Laboratory to help UK academics and industry prepare quantum technologies for use in space applications. 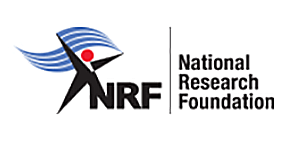 The National Research Foundation (NRF) is a department within the Prime Minister's Office. The NRF sets the national direction for research, innovation and enterprise (RIE) in Singapore and seeks to invest in science, technology and engineering, build up the technological capacity of companies, encourage innovation by industry to exploit new opportunities that drive economic growth, and facilitate public-private partnerships to address national challenges. Under RIE2020, NRF is committed to create greater value in Singapore from our investment in research, innovation and enterprise through 1) closer integration of research thrusts, 2) stronger dynamic towards the best teams and ideas, 3) sharper focus on value creation, and 4) better optimized RIE manpower. The task in a satellite QKD mission is to send quantum signals at the single photon level between an orbiting platform and a ground receiver. The joint SG-UK initiative will work towards employing quantum entanglement to establish the secret key between satellite and ground. One unique advantage of entanglement is that by testing the quality of quantum correlations, it can be shown that no third-party has access to the transmitted signals. This is a capability not available to other types of random number generators (even if these are based on other quantum properties). QKD Qubesat, together with supporting ground station receivers in Singapore and the UK, will demonstrate quantum entanglement-based encryption to secure communications from space. The satellite will perform QKD between two ground stations, one in the UK and the other in Singapore. It will create a shared key by sending quantum-entangled signals to the ground stations. The entanglement will synchronize the two parties’ keys. It will also reveal any attempts to hack the transmission, making sure the parties never risk their data by using a compromised key. In June of 2016, CQT reported the first operation in space of a correlated photon source, which was launched on a Cubesat built by NUS. The joint collaboration with the UK will review and upgrade both hardware and software segments from previous research and development efforts for the final satellite QKD mission. CQT will partner local companies to design and establish a ground station in Singapore to receive keys from the satellite. The National Quantum Technologies Program is a UK program to accelerate the translation of quantum technologies into the marketplace, to boost British business and make a real difference to our everyday lives. The program has created a coherent government, industry and academic quantum technology community that gives the UK a world-leading position in the emerging multi-billion-pound new quantum technology markets, and to substantially enhance the value of some of the biggest UK-based industries. The program supports investments in research, innovation, skills and technology demonstration to help UK industry to commercialize these new technologies. A national network of Quantum Technology “Hubs” helps accelerate the development of the technology and is closely linked to funding for industry-led projects, providing an easy entry point for companies interested in unlocking the potential of emerging quantum technology markets. UK Science Minister Sam Gyimah said that science has no borders and this is a brilliant example of the world leading space sector using technology to benefit consumers, keeping data safer than ever before. The UK's commitment to science is at the heart of the nation's modern Industrial Strategy and international collaborations are vital to placing the UK on the world stage as an innovation superpower. Dr. Chris Mutlow, Director of STFC RAL Space said that as the UK’s national laboratory for innovative space technology development, this is exactly the kind of mission the company is here to develop. With the international partners, the company will provide a vehicle for technology readiness-raising and rapid space qualification of quantum technologies. This mission puts the UK ahead of competitors in quantum communications and will enable the space sector to tap into new manufacturing and export opportunities that will help the UK achieve its ambition of capturing a 10 percent share of the estimated £40 billion global space market by 2030. Mr. George Loh, Director, Programs, at the National Research Foundation (NRF) in Singapore added that Singapore has developed deep research capabilities in quantum technologies through the nation's past investments in the Centre for Quantum Technologies. Singapore and UK share the same outlook to leverage research and innovation to develop capabilities and derive benefits for our respective countries. This collaboration with UK is significant for both countries and brings together experts to demonstrate satellite-based QKD communication capability. Singapore will also bring in local companies to develop and commercialize products and services in the QKD market, as well as other forms of space and quantum technologies. Dr. Artur Ekert, Director of CQT, noted that having access to quantum-secured communication is a smart step for cybersecurity. CQT has already completed trials over fiber for secure communication within Singapore, building on CQT’s decade of development of this quantum technology. Reaching into space with the firmn's UK partner is a strategic move towards global data security.